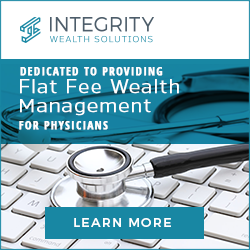 Interview with Integrity Wealth Solutions | Passive Income M.D. This is an interview with Clint Thomas and Justina Welch, the founders of Integrity Wealth Solutions. What is your background? Why did you start your firm? After working in the financial industry over the past 20 years, “we”, Clint and Justina, realized that the advisor’s bottom line should not come first, the clients needs, interest and success should. We started Integrity Wealth Solutions on this premise of providing clients with comprehensive wealth management that is fair and equitable to not only the client but also to us as well. Thus, Integrity Wealth Solutions was born. We walked away from the traditional practice of charging a fee based on percentage of assets under management and instead created a straightforward and fair annual tiered flat fee compensation structure. Additionally, we started our own independent registered investment advisory firm to have flexibility in our services as well as to have a relatively small and manageable client base that allows us to maintain a personal connection with our clients. We worked together at our previous firm where the main advisor no longer had personal relationships with most of his clients and we felt that we did not want to build a firm so large that you lose the personal service to your clients. As eluded to above, we have worked together now for six years. Four years at our previous investment advisory firm and two years at Integrity Wealth Solutions. We are both CERTIFIED FINANCAL PLANNERTM professionals and have advanced degrees in Finance. Justina has a Master’s in Business Administration (MBA) with an emphasis in Financial Management from the University of Colorado and Clint has a Master’s in Finance (MSF) from the University of Denver. 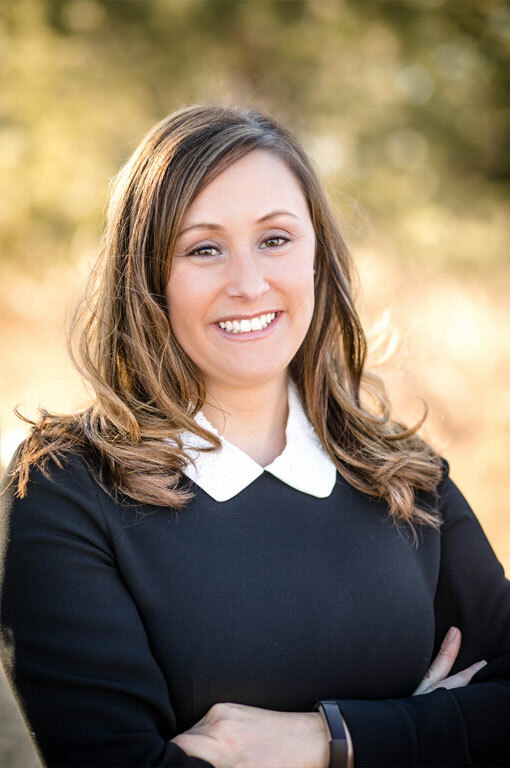 For our individual backgrounds – Justina is a Denver, Colorado native and began working in the financial services industry for a financial planner when she was 16. That’s where she caught the financial planning bug. Subsequently, she worked for a financial consulting firm for 15 years that provided a gambit of financial planning services to not only individuals but also company health and benefit plans. After the sale of that firm, Justina tried her hand working for an institutional money manager in their private client group working with high-net worth clients. The experience was difficult but also eye opening as she re-discovered her love for problem solving and helping clients plan their financial future. She then worked as a financial consultant at a Denver based investment advisory firm where she met Clint Thomas. Clint originally hails from the Dallas, TX area and relocated to Denver in the early 2000 where he began his career with Merrill Lynch. After the Merrill Lynch office closed and relocated to New Jersey, Clint and his wife, who had fallen in love with Colorado, decided to stay and set their roots. 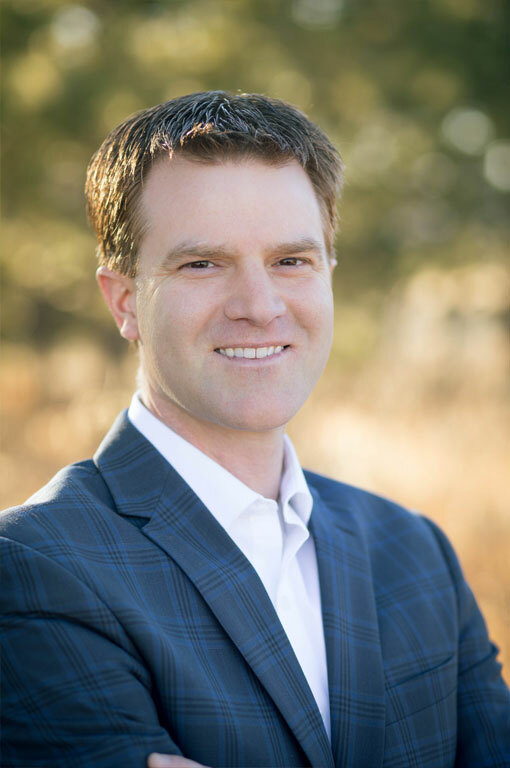 Clint started working for a Denver based investment advisory firm, where he worked as a financial consultant for over 12 years before co-founding Integrity Wealth Solutions with Justina in 2016. How do you build relationships with your clients? How do you guide them through tough situations? We view our clients as family and strive to be a trusted consultant and important member of their inner financial circle. We know this doesn’t happen overnight and seek to build trust and lasting relationships for the long-term. Our “secret formula” to building client relationships is to stay true and genuine to who we are, which is truly caring about our clients and helping them achieve their financial goals. We do this not only by being attentive to our clients’ needs but also follow through in doing what we say we will do. Money is an essential part of our lives and causes a range of emotions. From happiness, sadness, frustration or anger – one of the most valuable service we provide is helping clients stay focused to their long-term financial goals. From years of experience, we help guide by listening, being patient, understanding, and remaining steadfast through the different swings that life provides especially regarding their financial well-being. How do you evaluate a client’s financial position? Through the process of several initial meetings with the prospective client, we gather in depth information regarding one’s specific financial picture. We ask clients to provide us a copy of recent portfolio/investment statements, tax returns, insurance policies, income and expense information, and trust or estate documents to help facilitate the comprehensive planning conversation. We use this information to analyze and construct the client’s portfolio asset allocation as well as run Monte Carlo projections using our financial planning software. We believe that the only rational approach to investing is a diversified portfolio, as no one can single-handedly time or predict the market. We primarily utilize index-based investments in core equity markets, and therefore minimizing the speculative and unnecessary costs of actively managed investments. However, in certain sectors of the market, we have found active managers can provide value over an index approach specifically in fixed income, alternatives, and real estate. This philosophy, combined with active rebalancing, tax efficient portfolio construction, and tax loss harvesting allows our clients to keep more of what they earn. What are some underutilized financial resources? How do you stay current on industry developments? Improper placement of assets in a portfolio (i.e. taxable account vs. tax deferred). We stay current on industry developments by attending industry conferences and workshops, meeting with industry professionals as well as staying current on continuing education for our Certified Financial Planner ® designations. In addition, we read daily multiple industry publications, blogs, and utilize Morningstar for investment research and financial analyst insights. How do you deal with doctors specifically and why do you like working with them? We work with doctors and medical professionals as we do with all high net worth clients by providing a customized plan and analysis around their specific goals and needs. We understand doctors get bombarded with sales pitches and financial products all the time. Based on our firms’ structure, we don’t sell product. However, we do provide an unbiased analysis of one’s financial picture by helping filter out the noise of what is necessary and what is not. We enjoy working with doctors specifically because they often have more complexity to their financial situation, which give us the opportunity to put those puzzle pieces together in a transparent, cohesive and objective way. What are some of the unique tax challenges faced by doctors with multiple streams of income? Typically, doctors are in one of the higher tax brackets and have a need for tax planning overlay to their investment management. For example, many doctors have multiple streams of income that moves them into the 35% or higher tax bracket, thereby resulting in a higher capital gains tax (20%) and possibly subjecting them to the additional 3.8% net investment income tax. These factors make the tax management and the efficiency of the portfolio ultra-important and critical. Additionally, in terms of retirement, doctors often max out IRA or 401k contributing plan limits as well as being phased out from contributing to a Roth IRA. While taxes are inevitable, other options can be considered when trying to minimize taxes and fund retirement goals – such as a cash balance pension plan or “back-door” Roth conversions. Why do doctors need a financial advisor? The main reason doctor’s need a financial advisor is because they are very busy. While some doctors self-manage their investments, most or a large majority don’t have the time or don’t want to take the time to educate, research, and stay on top of industry changes, while managing their own portfolios. In addition, much more goes into managing one’s wealth than just investing. As mentioned above, there are tax strategies to consider as well as income needs in retirement to plan for, insurance needs to analyze, and estate planning implications – to name a few. And sometimes the biggest value an advisor can provide is helping clients from making impulsive or rash emotional decisions based on the volatility of the market. We understand doctors are a target for the financial industry because they typically have a high income and high net worth. They need an objective and transparent advisor that will sift through all the products and investment ideas that are out there to help them with an unbiased determination of what is appropriate for their needs and specific goals. How much do you charge? Please list your fee structure. If there is a range of possible fees readers can expect to pay, what is the range and what determines where in the range they would fall? If you use AUM fees, be sure to list what a reader would pay with $100K, $500K, $1M, and $2M in assets. We will accept relationships under $500,000 in billable assets. For accounts that are within this range, there is an annual 1% fee (billed quarterly), which is determined based on the value of the assets at the end of each calendar quarter. Clients not contracting for asset management services may choose to engage us for financial planning services on a per-project basis (stand-alone). The typical fee for planning service is $3,000; however, this fee can range from $1,000 to $5,000, depending upon the scope and complexity of the work to be performed. What is the minimum amount of assets required for you to take on a client? While we accept clients with investable assets under $500,000, ideally our tiered flat fee structure is most attractive to those with $500,000 or more.